Being so remote, the major telecom companies never extended internet access that far into the region. 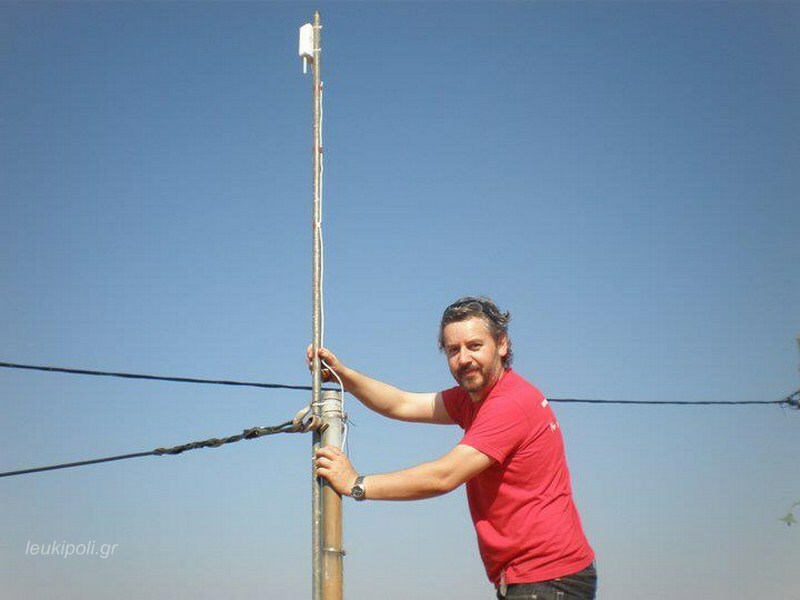 The locals, however, created their own access to the internet via a wireless mesh network with the technical and financial help of AWMN and the European Union, respectively. The network covers a large area and provides access not only to the mainly agricultural communities, who use it to share local farming knowledge and more, but also to local doctors, who are now able to reach national health service servers and prescribe medicines. In addition, there is free WiFi throughout the entire area, for any travellers to the area who might want a relaxing mountain holiday with good Internet. The people inhabiting this remote area of Northern Greece are known as Akrites, considered “border dwellers” from the time of the Byzantine Empire. During the many wars with their neighbors, the Akrites were often sacrificed in order to protect and extend Greece’s national boundaries. Now, with their autonomous network, they work to create a single community that spans not only their regional district, but the neighboring one to the north. What these people are sharing is not just an Internet connection, they are also commoning their access. When you have a problem with your Internet connection, you don’t call Comcast to come fix the line, you look on the map and you see your nearest node. You may not have known them before the network was installed, but you know them now. You engage with your neighbors to resolve the problem and you make the repairs together with other community members. The best part is that there is no monthly fee. Once the network is installed, users only pay for network upkeep. Besides maintaining the network in a DIWO (Do It With Others) manner, and creating an atmosphere of cooperation among far-flung communities that were previously strangers, the Sarantaporo network is incorporating different groups of people into the community, like Farmer’s Cooperatives and techies. It is also creating an intergenerational space for learning. The crowdfunding campaign that was initiated seeks to illustrate the importance of this network to the villagers themselves and also the wider community outside of Greece. The funds to be raised by the campaign, “will allow for the completion of the documentary, and its utilization through screening events and open talks to raise awareness about the commons, community networks, peer-to-peer and solidarity-based cooperative models, etc.,” according to Vassilis Niaros from the P2P Foundation. Mesh networks are not only for rural environments, but have myriad uses, many of which have yet to be explored. Some such applications have already been covered by Shareable, but the implications of what is happening in Sarantaporo has yet to be evaluated, and the completion of this documentary could further that understanding.